Students wishing to learn Vipassana meditation undergo a minimum ten-day course, during which time they take precepts not to kill, not to steal, not to commit sexual misconduct, not to speak lies, and to refrain from intoxicants. For the entire ten days they live within the course site. Each day begins at 4:30 a.m. and continues until 9:00 p.m., with the student aiming for at least ten hours of meditation (with breaks). For three days the student develops concentration of the mind by observing the inhalation and exhalation of the breath (Anapana). During the ensuing days the student develops awareness and equanimity towards the various sensations experienced within the framework of the body and is shown how to penetrate his entire physical and mental makeup with the clarity of insight (Vipassana). Each day’s progress is explained during an hour-long discourse in the evening. The course closes on the last day with the practice of loving kindness meditation (metta bhavana), the sharing of the purity developed during the course with all beings. The work of controlling and purifying the mind is given top priority during the course. The results are allowed to speak for themselves. Philosophical and speculative conversation is discouraged. There is no charge whatsoever for the teachings. As for costs of board, lodging, and other minor expenses, these are met by the donations of grateful students of past courses who have experienced the benefits of Vipassana, and who wish to give others an opportunity to experience them. In turn, having completed a course, if one feels benefited by it and would like others also to benefit from the practice of Vipassana, he or she may give a donation for future courses. The rate of progress of a student depends solely on his own paramis (previously acquired merits), and on the operation of five elements of effort—faith, health, sincerity, energy, and wisdom. The instructions above are only meant to enhance your understanding of Vipassana Practice. They are not meant to be a substitute for learning the technique. The only proper way to learn Vipassana is to do a ten-day course with Mr S N Goenka or any of his authorised assistants. S N Goenka was authorised to teach Vipassana meditation by the respected Vipassana teacher of Burma, Sayagyi U Ba Khin. Born in Burma of Indian heritage, and well established as a businessman and householder, S.N. Goenka did his first course under Sayagyi in 1955 at the International Meditation Centre in Rangoon. In Vipassana, S.N. 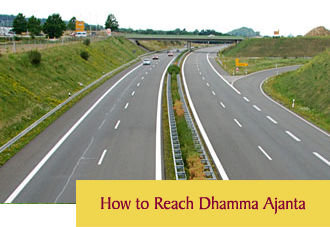 Goenka found an invaluable jewel—the jewel of the Dhamma—which dispels the darkness of ignorance. Here was a scientific method, a practical technique that eradicates suffering and purifies the mind. Fascinated by this universal remedy rediscovered by the Buddha, S.N. Goenka continued to practice (patipatti) and study the texts (pariyatti) for the next 14 years under the guidance of Sayagyi. In 1969, S.N. Goenka was appointed by Sayagyi as an authorised teacher of Vipassana. That same year, S.N. Goenka left Burma (present-day Myanmar) for India and began conducting courses. Since then he has been giving hundreds of courses to people from different backgrounds and nationalities. S.N. Goenka has also helped to establish the Vipassana Research Institute at Igatpuri, to help make the pariyatti teachings of the Buddha available to the public. The Institute is publishing the entire Pali Tipitaka along with its commentaries and sub-commentaries, in Devanagari script. It is also producing this material in a multilingual CD-ROM with search facilities. In addition, the Institute is exploring references to Vipassana in various ancient texts, and it is conducting scientific research on the present applications and benefits of Vipassana in different fields of human development. With more and more people practicing Vipassana, both the patipatti and pariyatti aspects of the Buddha’s teaching are gaining prominence. Mr Goenka stresses the practical and non-sectarian nature of the teaching and its relevance to householders as well as renunciates. He emphasises that Vipassana meditation does not encourage people to withdraw from society, but rather teaches them to face the ups and downs of life in a calm and balanced way.